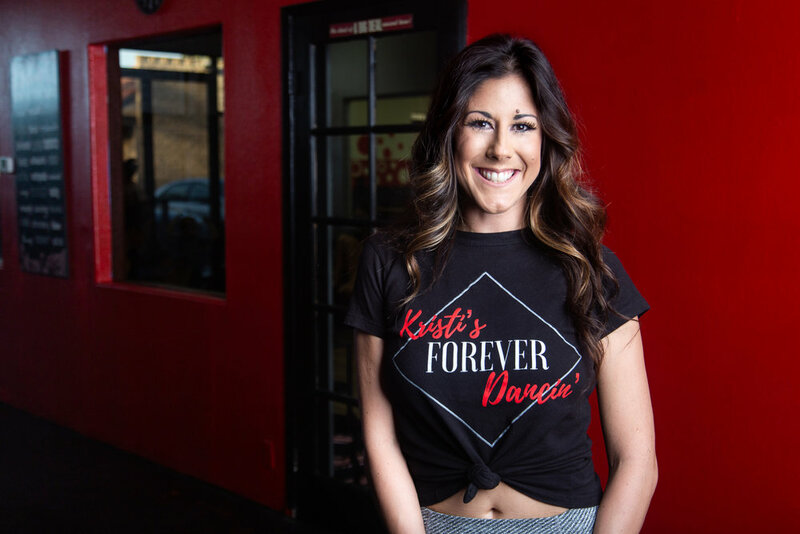 Kristi's Forever Dancin' opened its doors 17 years ago when Kristi was just a teenager. 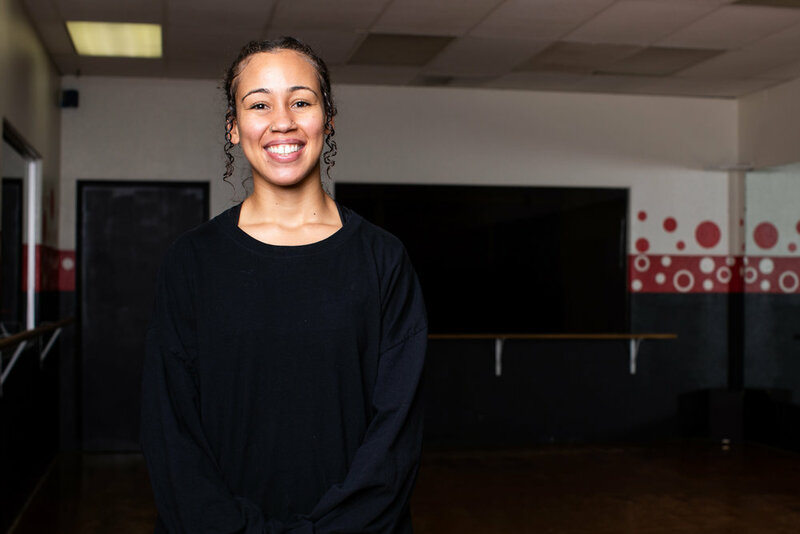 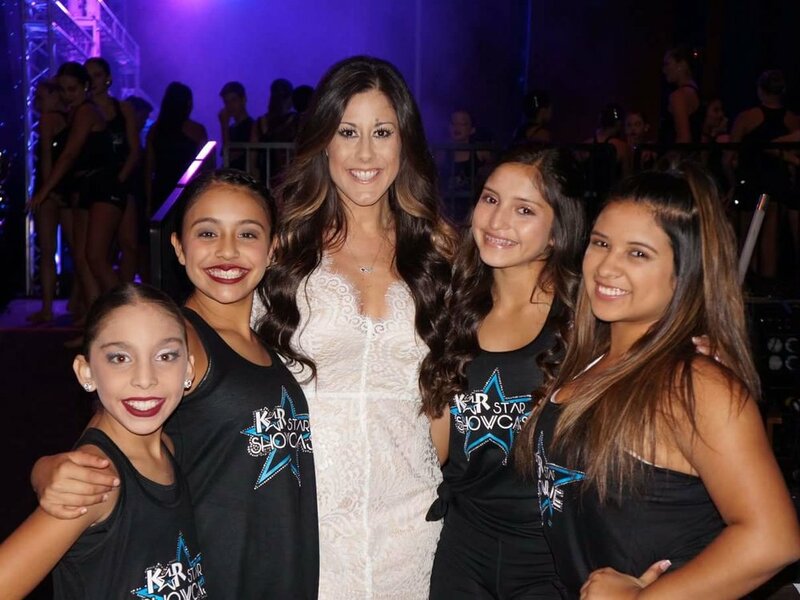 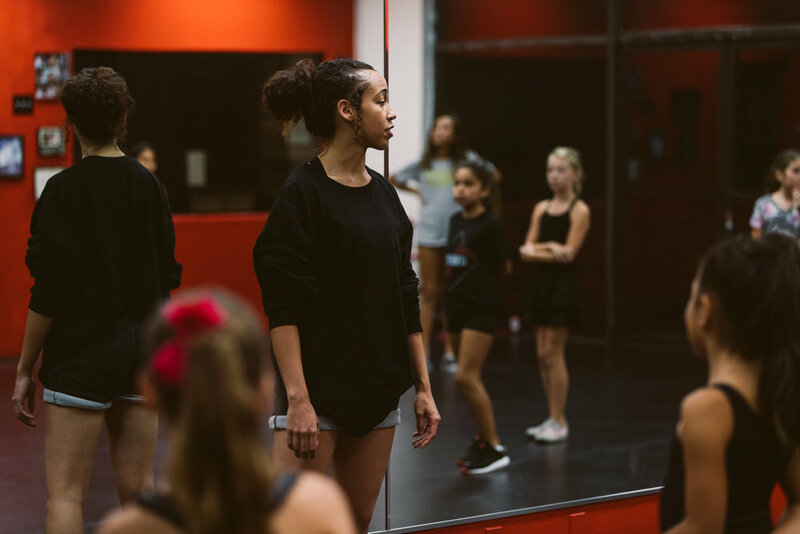 Her dream was to create a space in Riverside where she could share her passion for dance with the kids in her community, and for nearly two decades she's been doing just that! 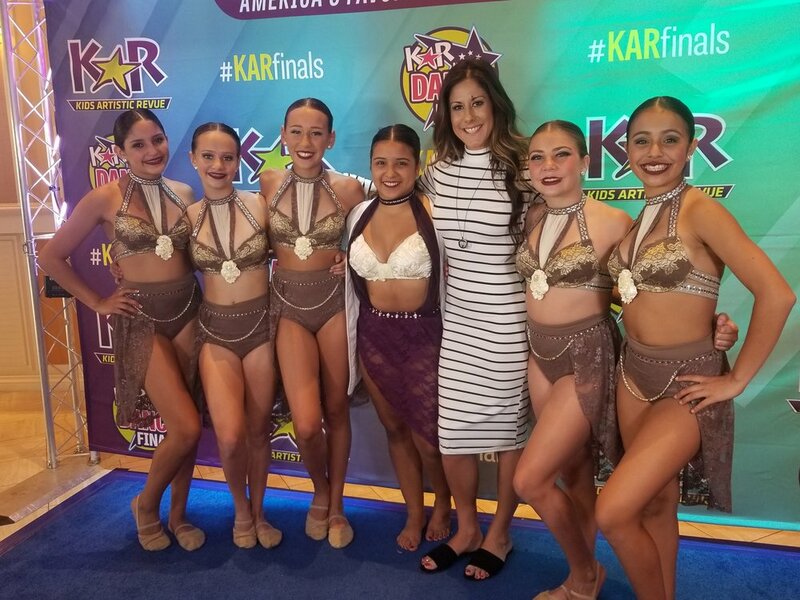 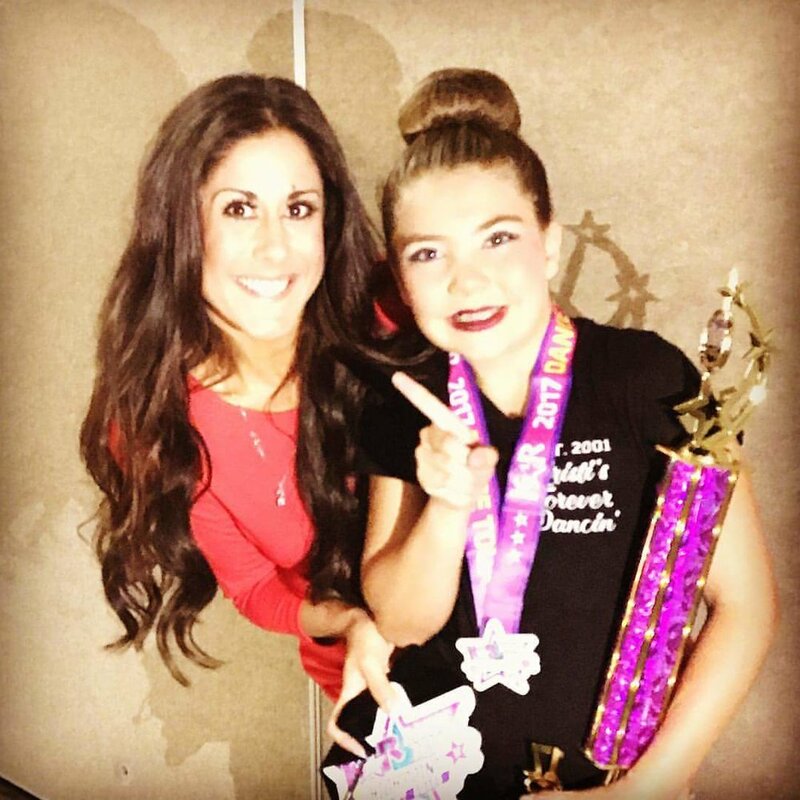 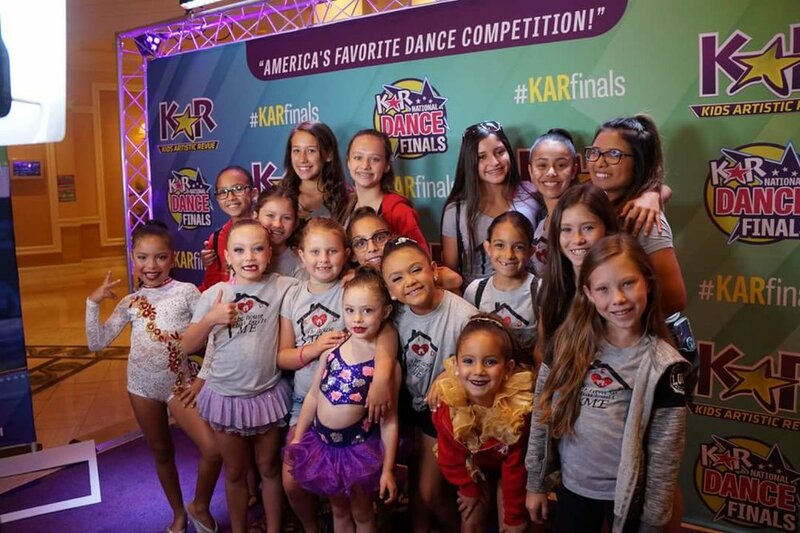 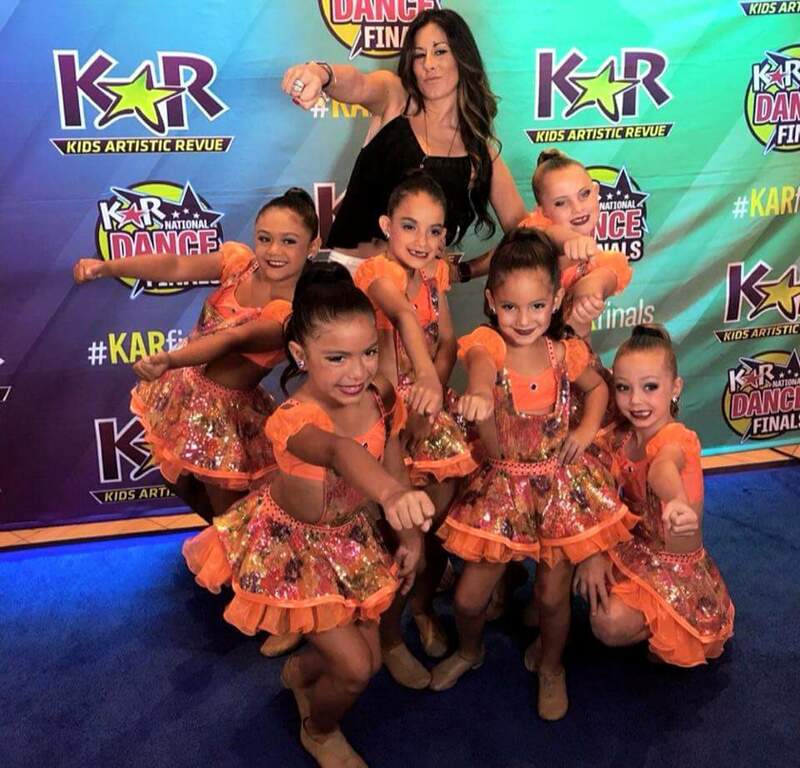 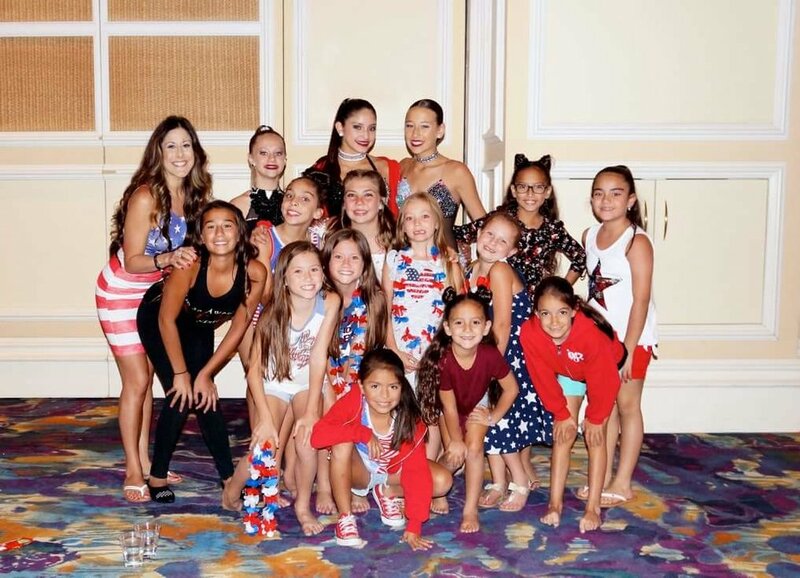 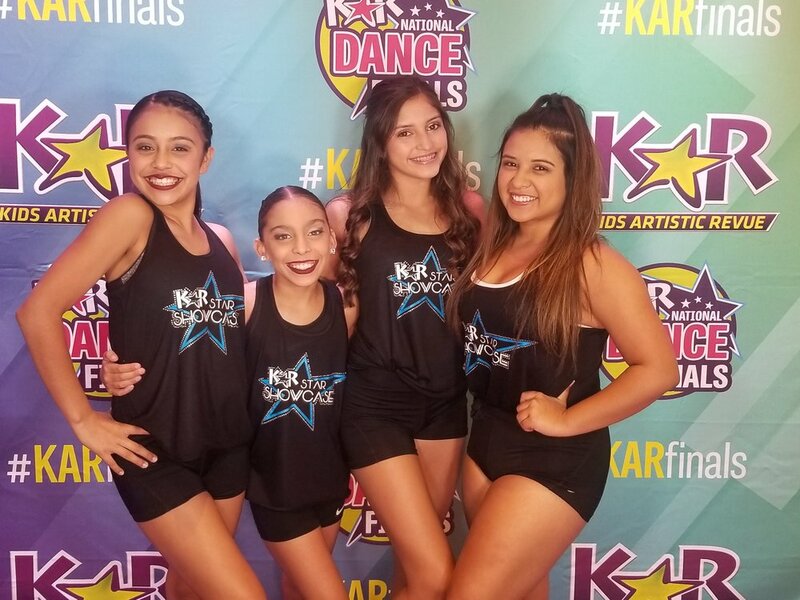 To this day, KFD classes are full of thriving young dancers, all working hard to grow and push their limits as they continue to place in the top overalls with each passing competition season. 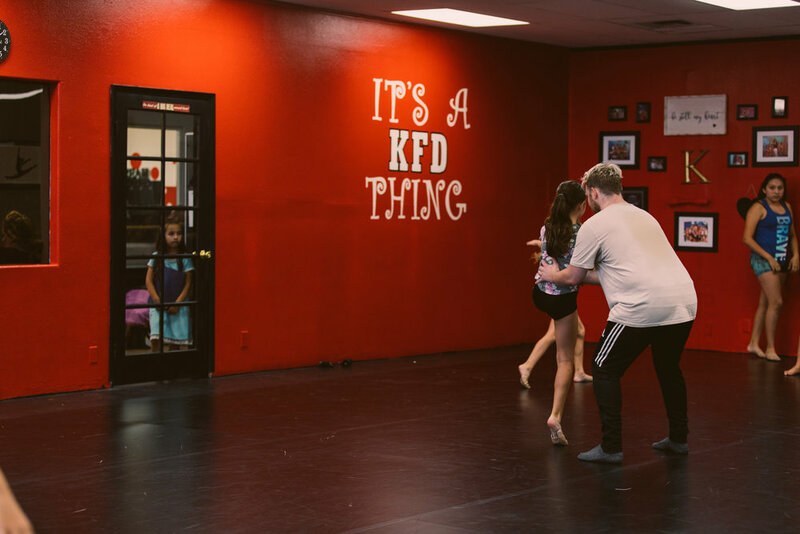 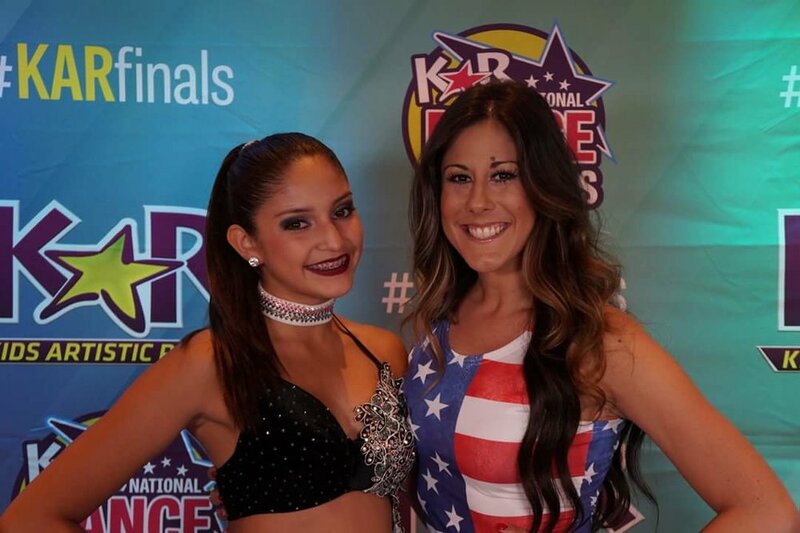 Whether you're looking for classes on the competitive or recreational side of dance, KFD's loving and supportive environment has it all! 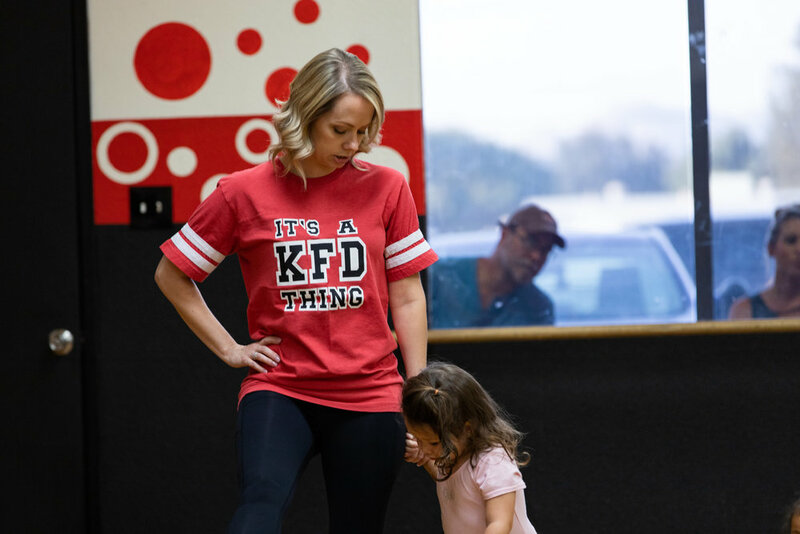 KFD treats any new student like a new addition to the family. 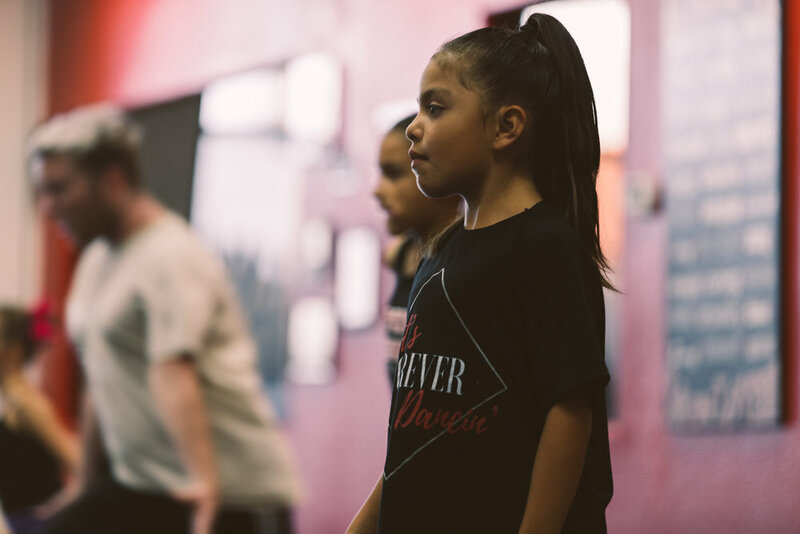 We understand how daunting it can be to walk in a studio for the first time, but when you walk through those doors your family, no matter how many classes you've taken. 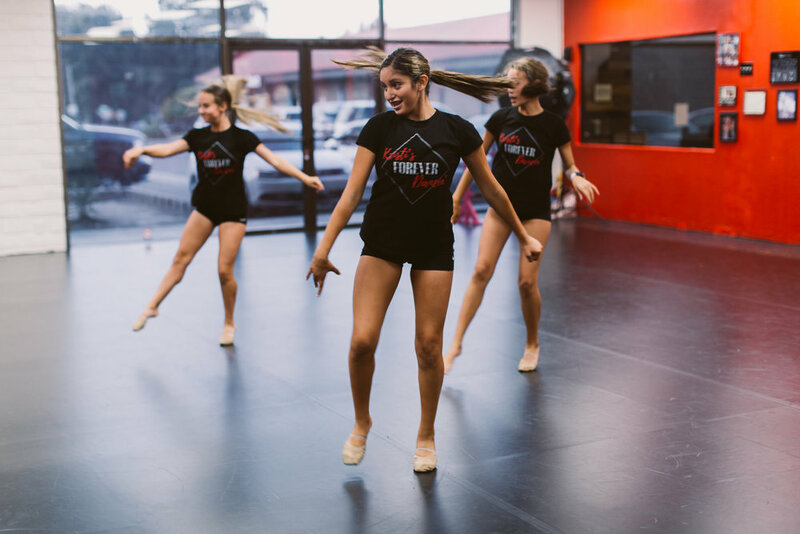 When a dancer finally lands a jump, the whole studio celebrates. 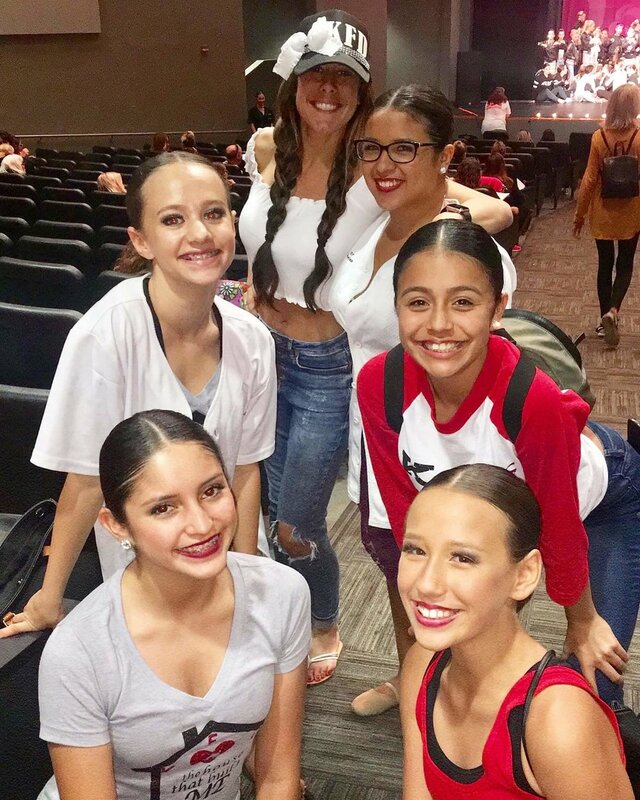 When a dancer is having a bad day, the whole studio joins in to lifts their spirit. 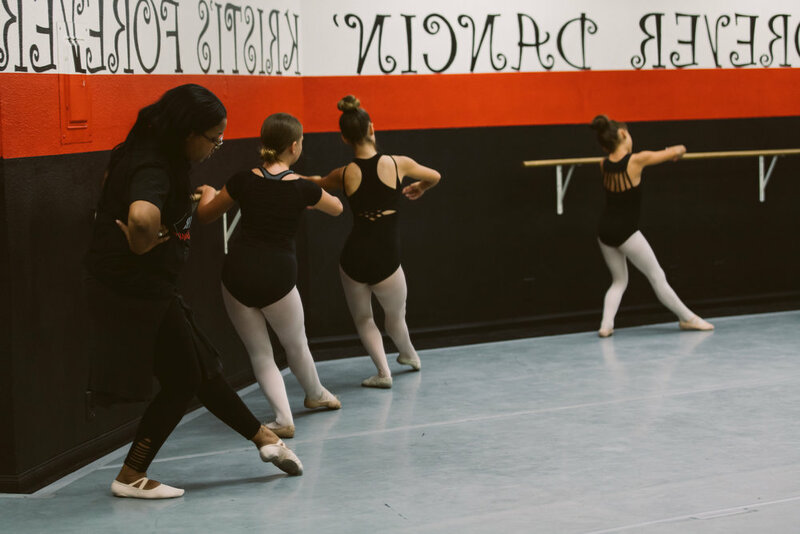 When a dancer looses a shoe, the whole studio helps to find it. 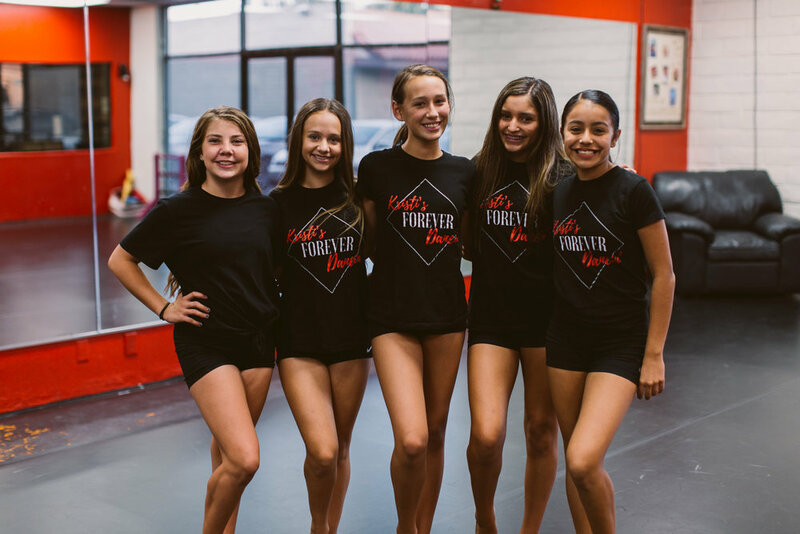 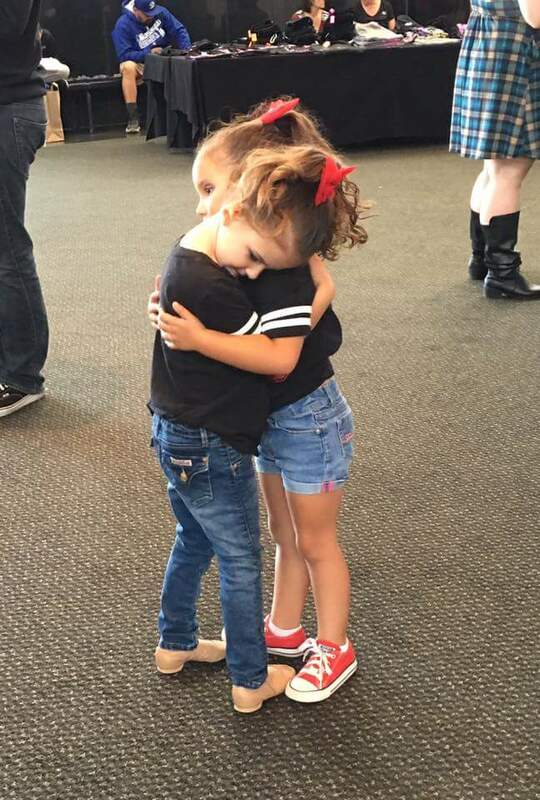 Lifelong bonds friendships are made within the walls of KFD because to us, a dancer isn't just a dancer, they're family. 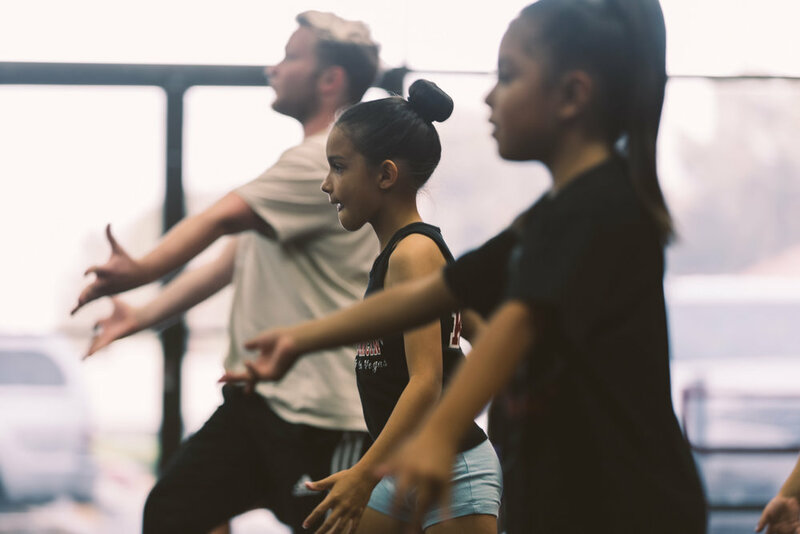 We believe dance is merely a stepping stone, and when it comes to teaching our students, we don't skim on the good parts. 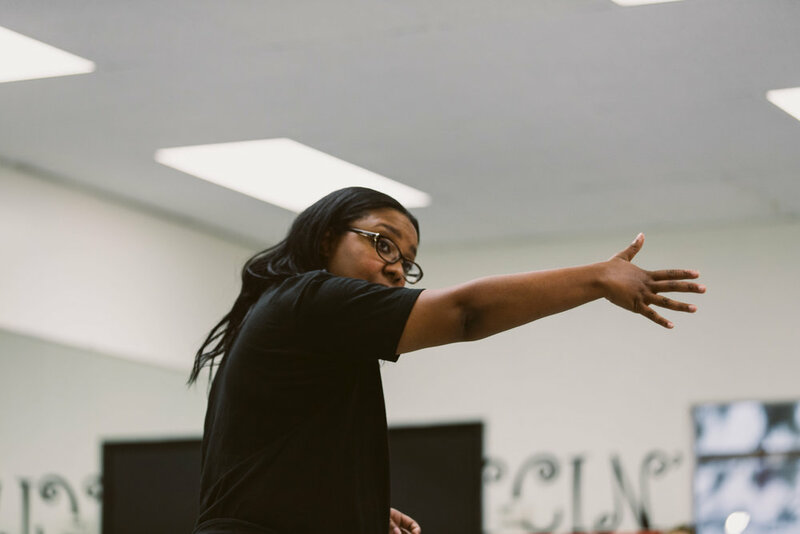 KFD trains every teacher to view their class as a tool and to use it to teach valuable life skills whenever the opportunity presents itself. 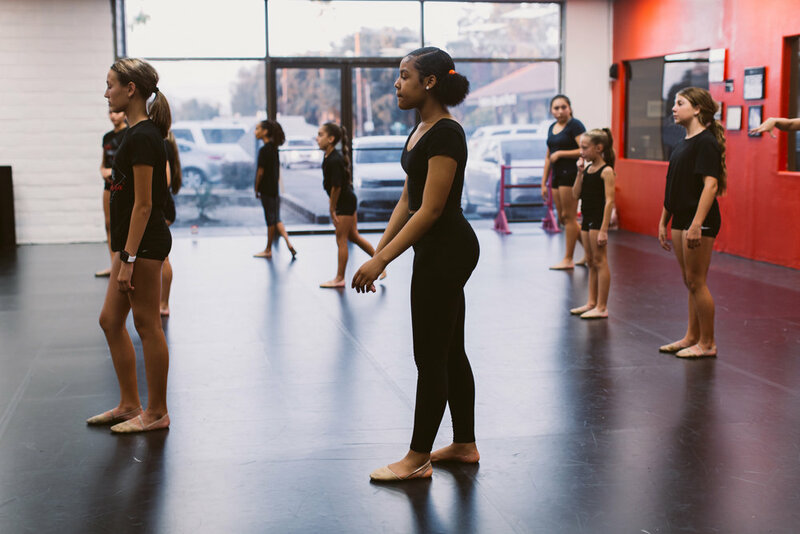 It isn't uncommon to walk passed the ballet class and overhear the teacher in a deep discussion with the students about time management as they stretch and warm up. 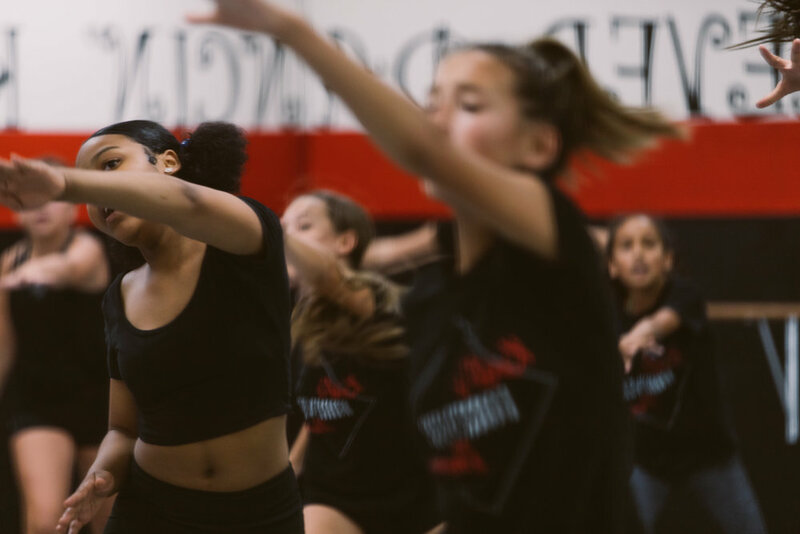 Our purpose is to train and grow some of the most well-rounded performers on stage, but some of the most respectful young men and women you'll ever come to meet. 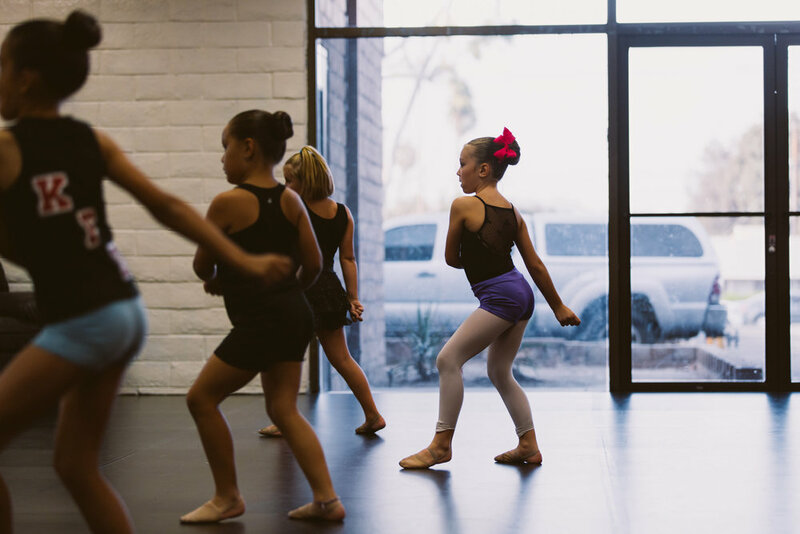 No matter how you look at it, choosing a dance studio is never an easy thing to do. 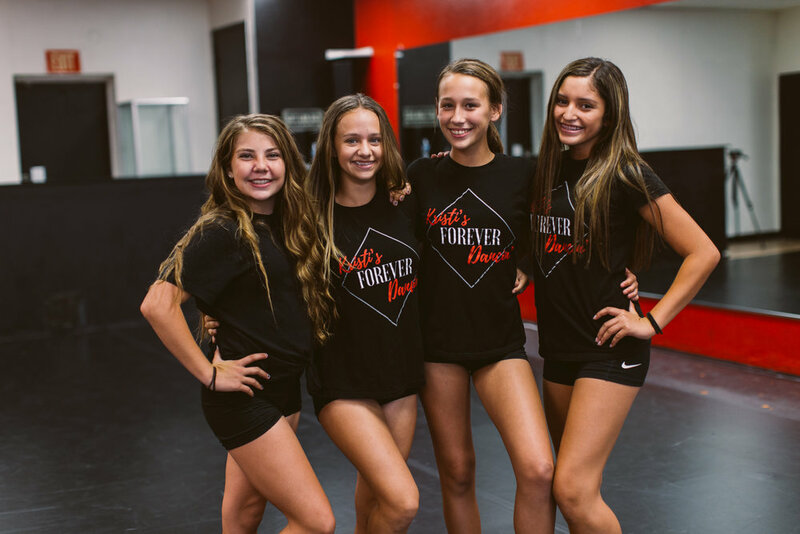 It's more than just a place you go to train and stretch, it's a community of people who will end up knowing more about you than you do, it's the place where your child will build friendships lasting their entire lives ; it's a family. 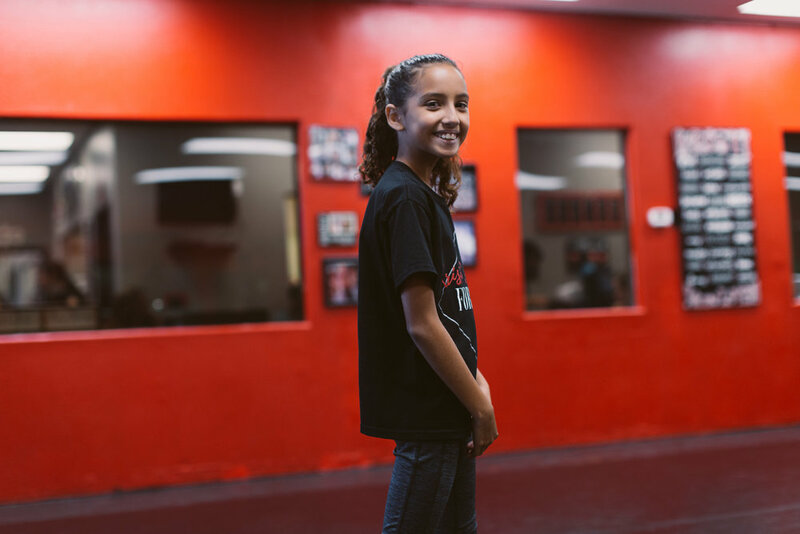 We're confident that you won't be able to take just one class. 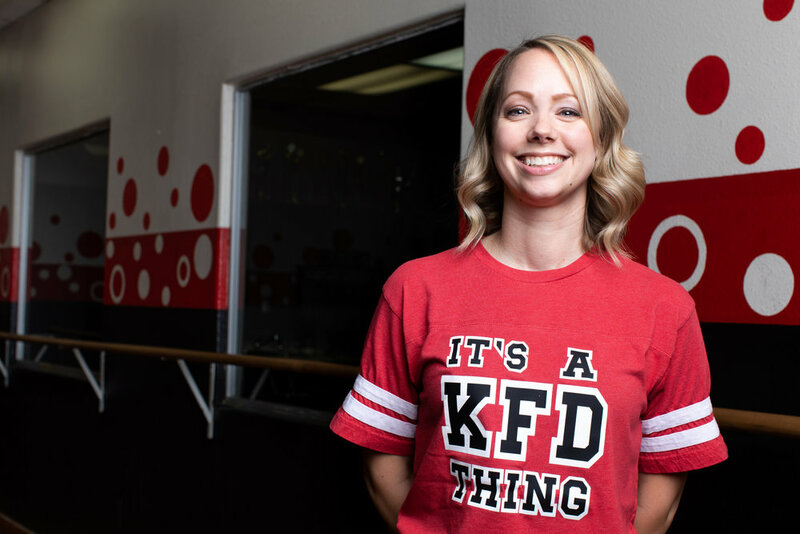 Once you get a taste of the KFD spirit, it's only a matter of time before you come back for more. 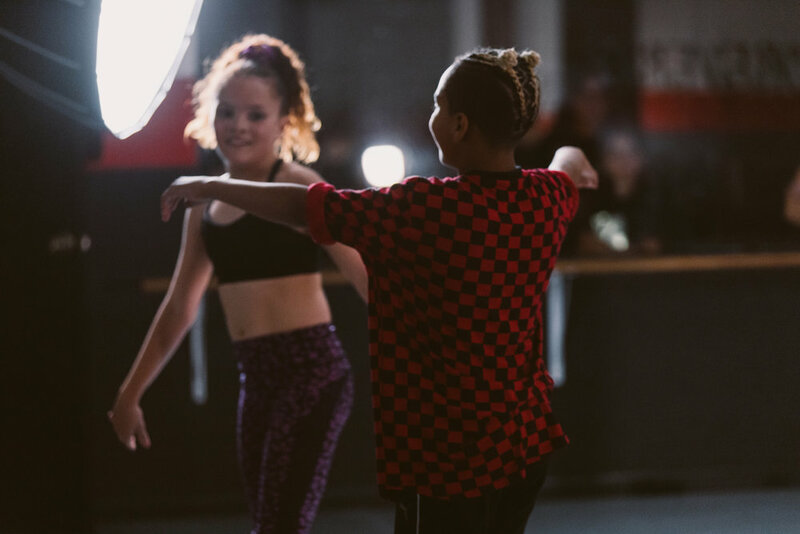 We're so sure in fact, we'll even waive the fees on your first visit so you can get jiggy with your bad self for free!